Finally! The sun is back. 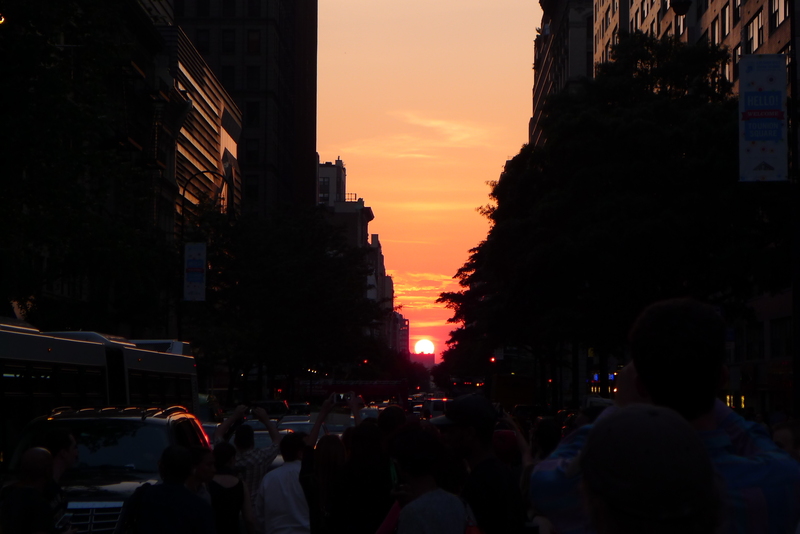 And tonight New Yorkers saw it on show in Manhattanhenge. Manhattanhenge is a beautiful phenomenon that occurs twice a year. 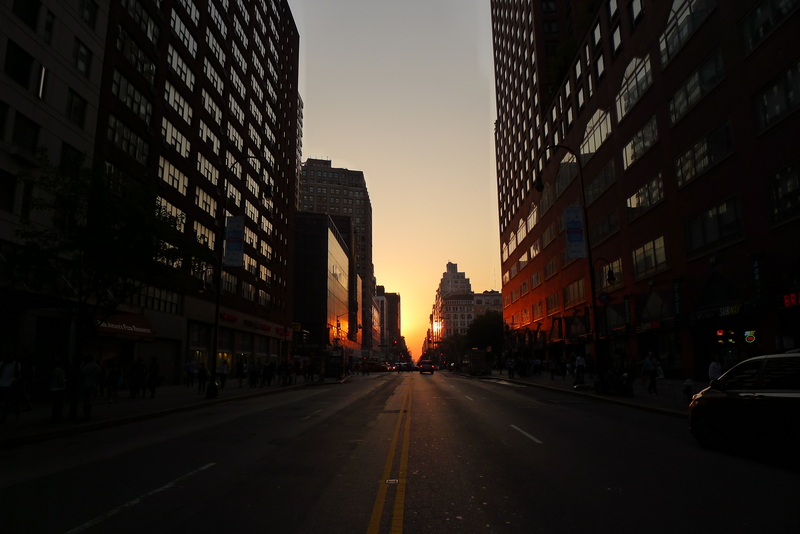 It’s the moment the sun aligns perfectly with the city’s grid as it sets. 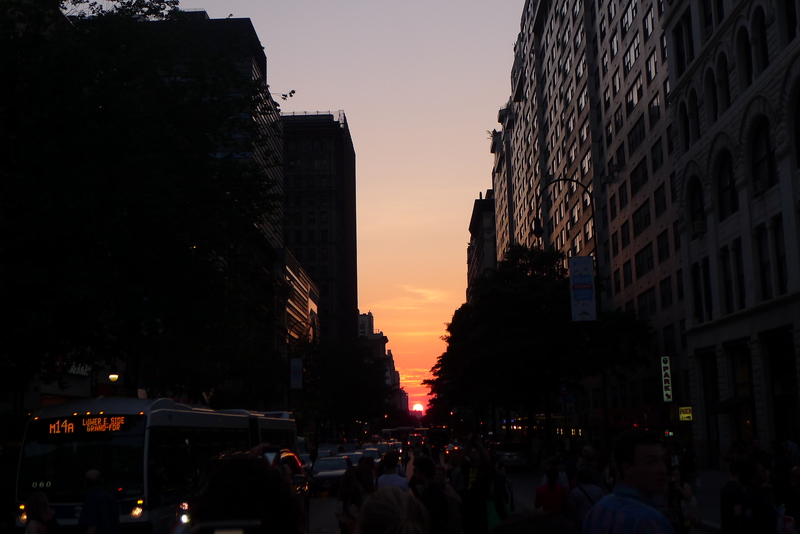 If you stand on one of the wider blocks and look west towards New Jersey, you can see the sun dipping between the buildings. 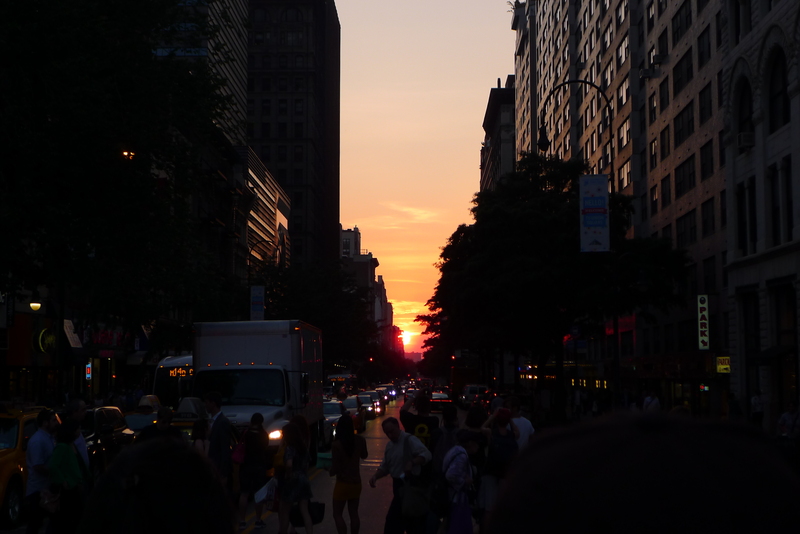 One of the wider streets near me is 14th, so I popped up to Union Square and joined the growing swell of photographers, tourists and grinning New Yorkers in waiting for the right moment. 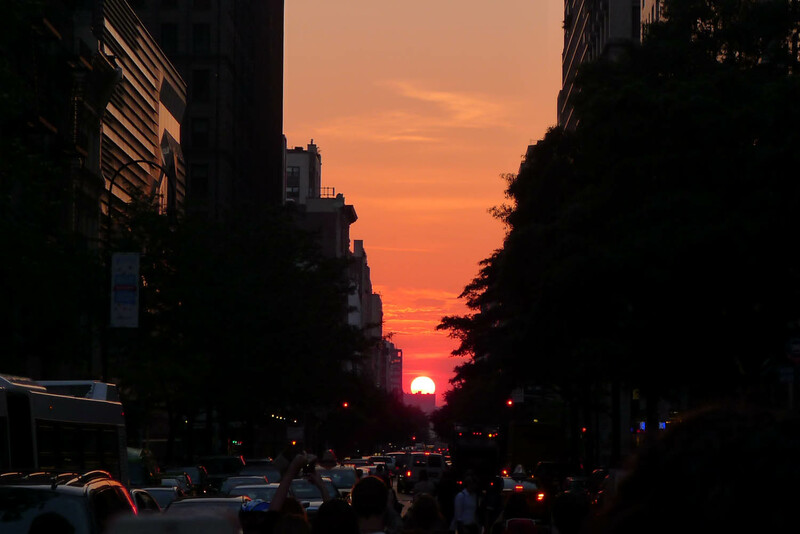 Every time the white man blinked up on the crossing, we darted into the middle of the road, hoping to see the red ball of the sun. It took a fair amount of tries but at about 8.15, we finally saw it. The cameras were out – and so were the car horns. 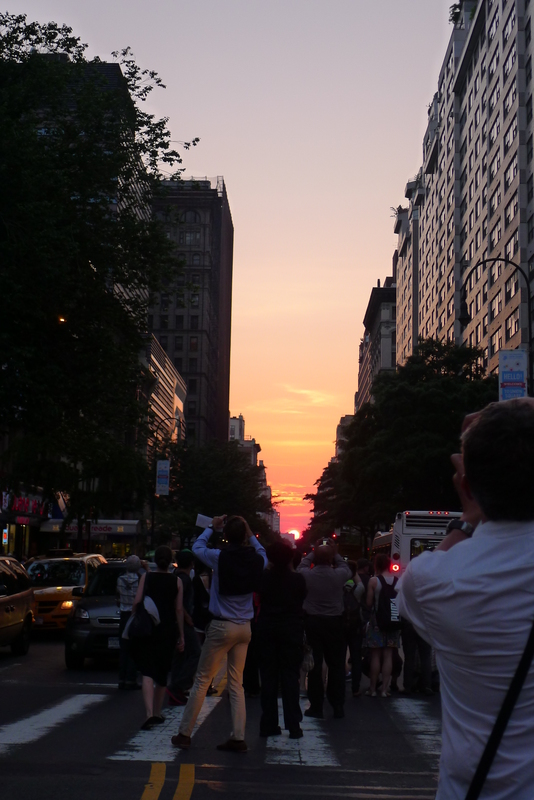 Manhattenhenge was beautiful – flushing the skies red and painting the buildings orange. And if you missed it, don’t worry! You have another chance on July 12.